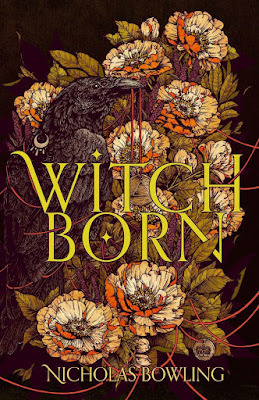 Witchborn was a really fun historical fantasy with a realistic setting and plenty of added mystery and magic. Set in 1577 with Queen Elizabeth I on the throne and Mary Queen of Scots locked in the Tower of London for treason this is a story about an ongoing, bitter rivalry between the two queens and a young girl who gets caught in the crossfire. Alyce's life is turned upside down when her mother is burned at the stake for witchcraft. Alyce manages to escape and heads to London, determined to deliver a secret letter to a man her mother said would be able to help her, but with the witch finders hot on her heels, and her growing powers becoming increasingly difficult to hide, it's not going to be easy. I don't want to say much more about the plot because it's better to let you unravel events for yourself but I really liked Alyce as a character and enjoyed the journey she goes on. She meets a few allies along the way but it's very difficult to decide who can be trusted and certain things definitely aren't what they originally seem. The book is creepy and quite dark in places but I mean that in the best way possible and Nicholas Bowling really brings historical London to life with all the sights, sounds and smells you'd come across if you took a step back through time. I believe this is a stand alone story, and it definitely works as one, but I'd be very happy to read more stories about these characters and I'll be watching out for more from this author.